Anyone that knows me knows that I'm a huge fan of freebies and living frugally. What self respecting Vegas visitor would ever pay full price if they didn't have to or leave this great city of chance without getting something for nothing. One of the best services I can provide my fellow man is the ability to share these fabulous free finds with anyone that is interested in what I have to offer. This is better than a 'tell all' book on who did it and why isn't it? 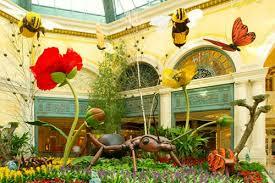 The Bellagio Conservatory and Botanical Gardens offers a delight to the eyes of the beholder. It is a true delight to all the senses to see the sights and inhale the fragrance of these gardens that display seasonal highlights in plants, flowers, and produce. Each season offers new delights to the senses and there is no admission fee to view these beautiful floral arrangements. 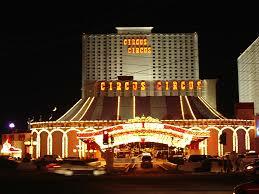 This is a great place for a photo op to help you remember your time in Las Vegas. Have you ever seen water dance? 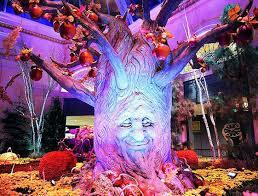 If not, then while you're visiting the Botanical Gardens at the Bellagio, you'll want to stick around long enough to witness the fountains of Bellagio. 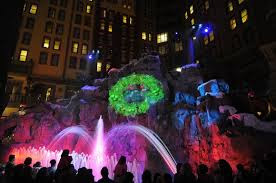 These shows consist of more than 1000 fountains that are literally dancing in choreographed unison with light to the music (you may be surprised or quite possibly impressed by the extent and variety of the music play list for this particular show). This is also free to witness and occurs every half hour or so after 3:00 PM throughout the week and after noon on the weekends. If you're looking for more great fun that is free for the entire family to enjoy, head on over to Circus Circus for Circus Acts-this show is free to watch and provides the audience with the thrills and chills of the big top day after day. You can watch different acts as they perform throughout the day at the half hour mark between the hours of 11 AM and Midnight. 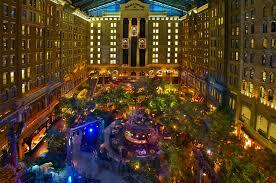 Sam's Town Hotel and Gambling Hall offers a stunning display of water and laser lights daily at 2:00, 6:00, 8:00, and 10:00. 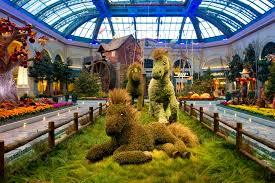 This show is called "Sunset Stampede" and takes place in a 9-story atrium that hosts a natural habitat of live trees, greenery, waterfalls, and trails. Free entertainment is often the best entertainment that can be found. There are so many things to do and see that cost literal fortunes. It is nice to know that there are so many thrilling adventures available for little or no cost to explore while visiting Las Vegas. If you spend wisely, you will discover that you can enjoy the better part of most days filled with activity without breaking your wallet or becoming close personal friends with any creditors.